After two years the Symposium: Art | Music | Management is returning to Brno’s JAMU (Janáček Academy of Music and Performing Arts). Three days in April will be given over to debate, new ideas and exchanging of contacts between professionals, teachers and students. The 7th Symposium promises more than thirty lecturers from four countries and an accompanying programme. This time the symposium focuses on the education of artistic, and primarily music managers. The symposium came into existence as the first of its kind in 2013 at the Faculty of Music at JAMU in Brno, becoming an annual event. The venue and the role of organiser shifts each year to one of the three tertiary art institutions where music management or production is taught (The Janáček Academy of Music and Performing Arts in Brno, the Academy of Performing Arts in Prague and the Academy of Performing Arts in Bratislava). This time it is not focused on one area but rather shows diverse perspectives on the education of artistic and predominantly musical managers. We will talk about brand building with music expert and important creator of jingles John Groves (USA, Germany). Etiquette and soft skills will be covered by the teacher and mentor Daniel Šmíd, while an in-depth look at current issues of German orchestras and their challenges are offered by Steffen Höhne (Germany). The symposium: Art | Music | Management will take place from 8 to 10 April 2019 on the premises of prostorách JAMU, the Divadlo na Orlí theatre and the Impact Hub on Cyrilská street. This year’s 7th Symposium will involve musicians more. “We prepared a programme that offers musicians and other students in interpretive fields the chance to become acquainted with the basics of management, which will give a chance especially to beginners to get off on the right foot” explained Lucie Pešl Šilerová, head of the department of musical production at JAMU. They will be introduced to particular key areas such as fundraising and booking of concerts. 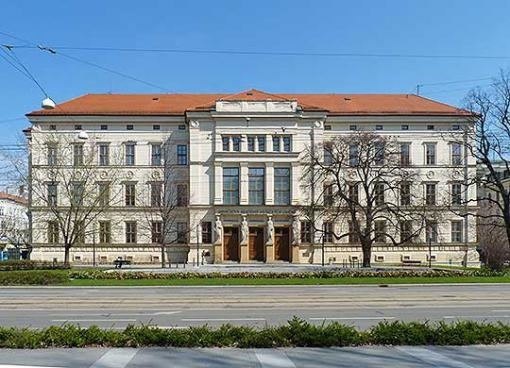 The symposium, which is being organised by the third year of music management students at the Faculty of Music at JAMU Michaela Gereová and Mária Takáčová, is free for visitors with the only condition being that they register. The overarching theme of the day is strengthening of international cooperation. The morning will open with a lecture led by the professional network of SoundCzech, ENCATC and AEC. This will be followed by a panel discussion with representatives of the fields of cultural and music management and production at central European universities (the Czech Republic, Slovakia, Austria and Germany). The theme of education abroad will also be carried over into the block in which students share their experience of study abroad and working placements. The symposium will also newly offer a poster section, where young professionals will be able to present their projects to fellow professionals. Those who want to draw inspiration not just from lectures will be happy to have the chance to buy selected monographs from the publishers JAMU, AMU and Institut Umění – Divadelní Ústav for discounted prices. You can find links for registration and further information on the website.